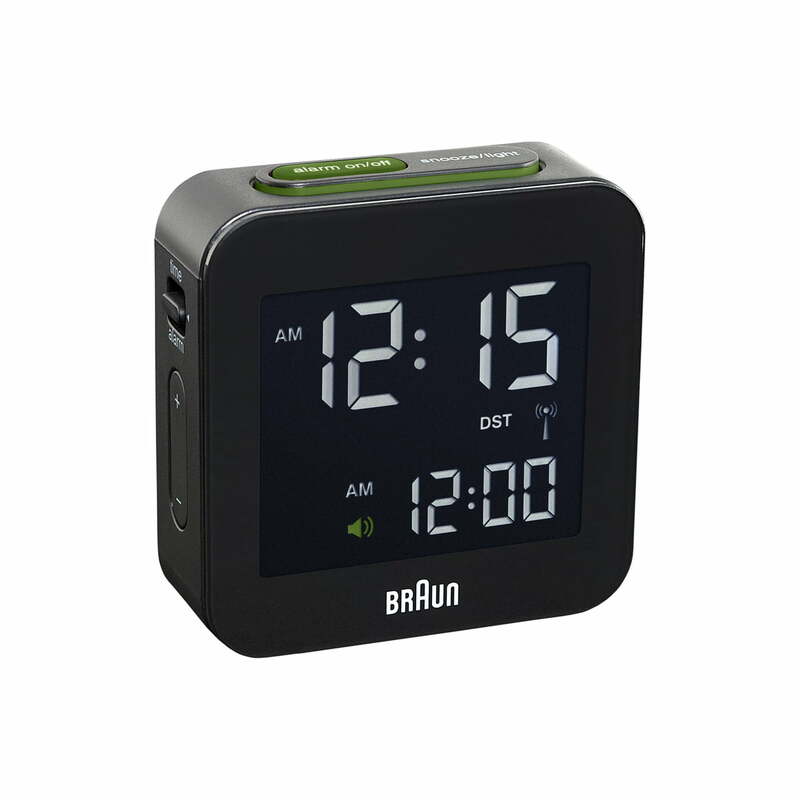 The digital radio-controlled alarm clock BNC008 stylistically reminds of the early digital clocks. 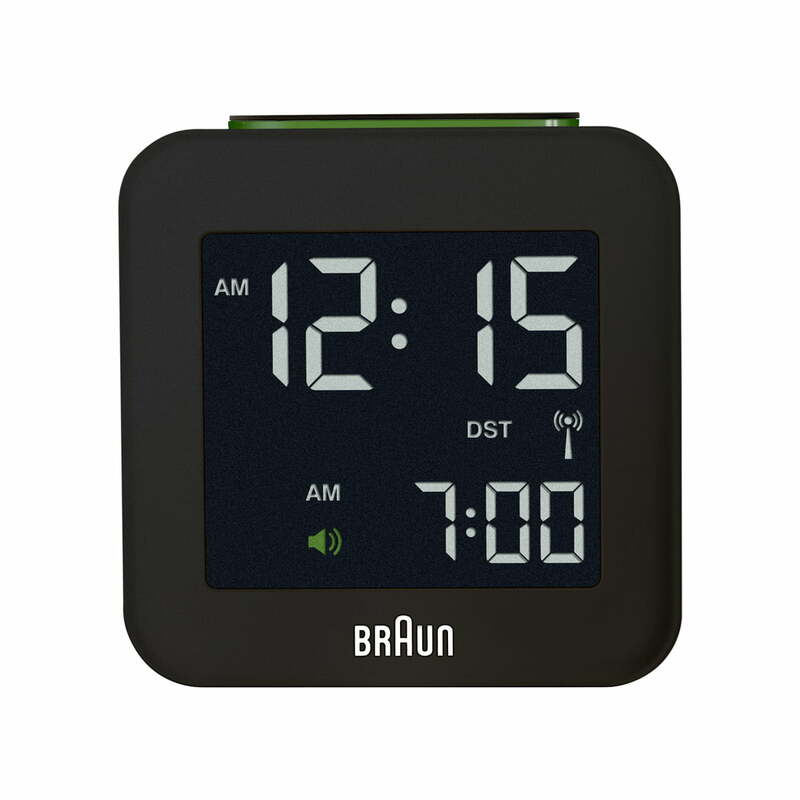 The classic design by Braun however hides modern technology inside. Behind the LCD display there is a background illumination making the time visible even in the dark. The 24 hours display of the BNC008 is clearly readable and exceptionally straight-lined just like the housing. 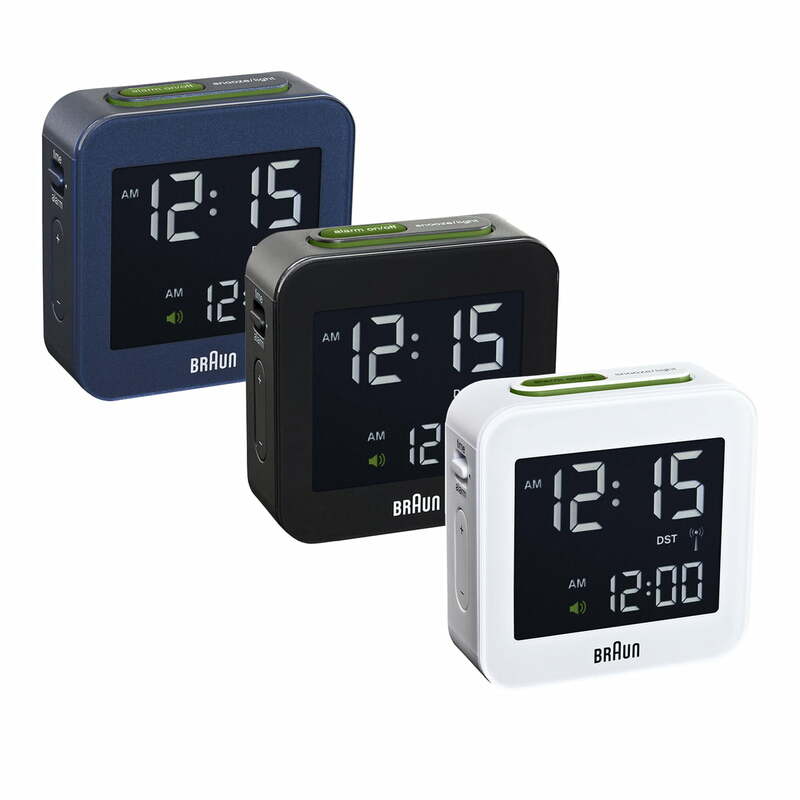 The comfortable alarm setting is complemented by a snooze-function. 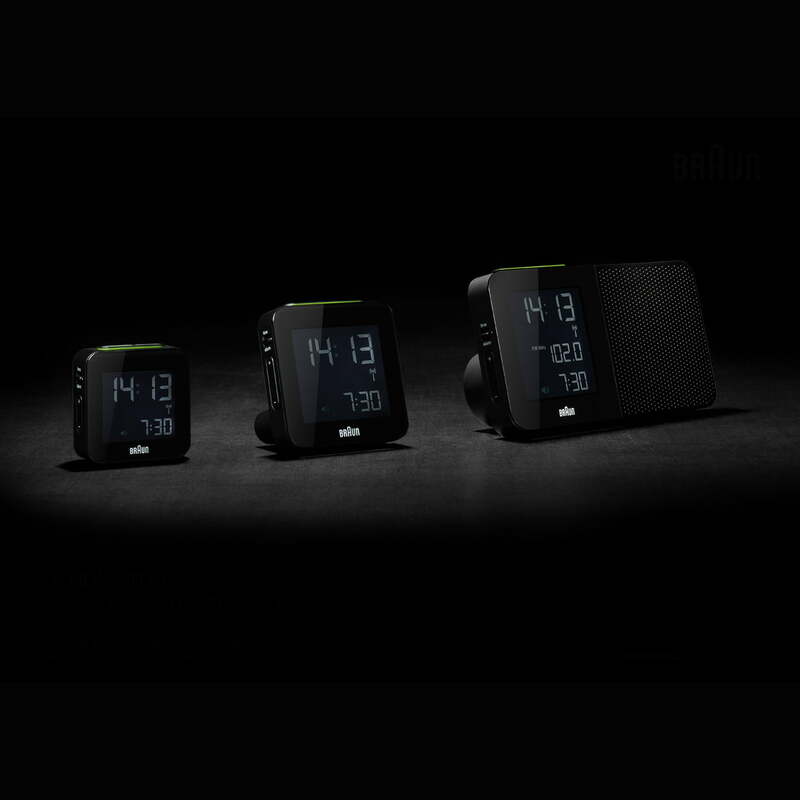 The BNC008 has radio reception all over the world thanks to its multiband technology. 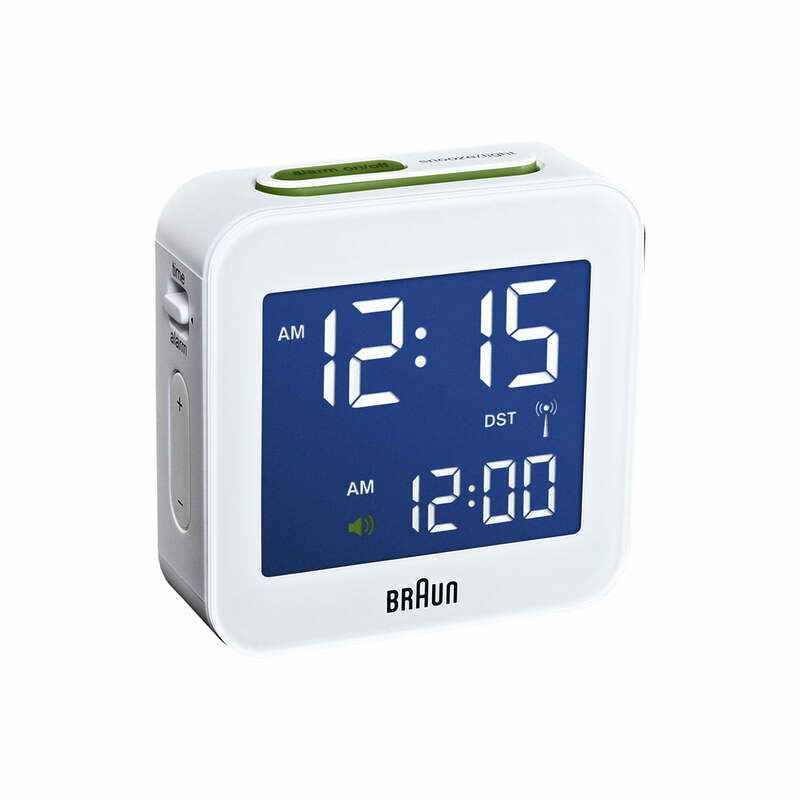 In conjunction with its compact size, the alarm clock by Braun is thus an ideal travel alarm clock. A battery is included.